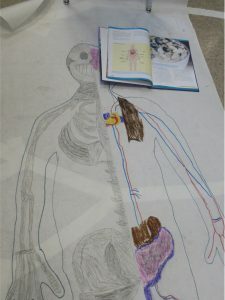 All of our bodies have the same basic parts, more or less. 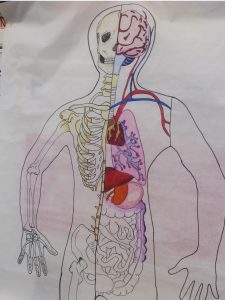 These parts combine into different systems, each with a different purpose; but all of the systems are interconnected. If one or more of the systems aren’t working properly, the body can’t run smoothly. 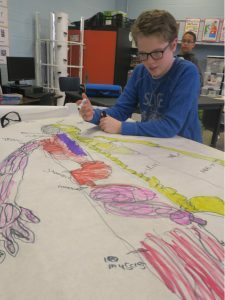 As part of their study of the human body and its systems, some of our 6-8 team students helped each other draw outlines of the bodies on large sheets of white paper. 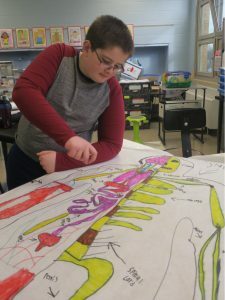 The students were then challenged to sketch in and label parts of the various systems. 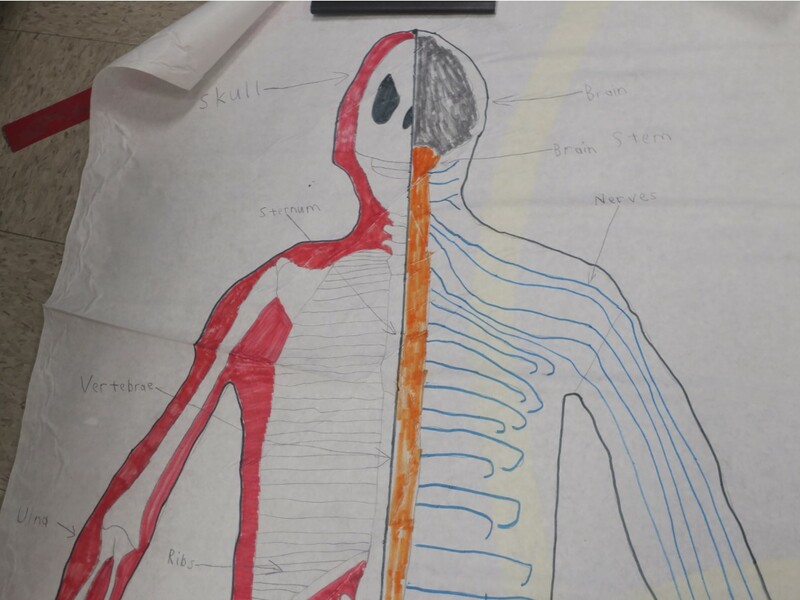 Students used textbooks and online resources to help, as well as a drawing of human body systems done by Mr. Loar.